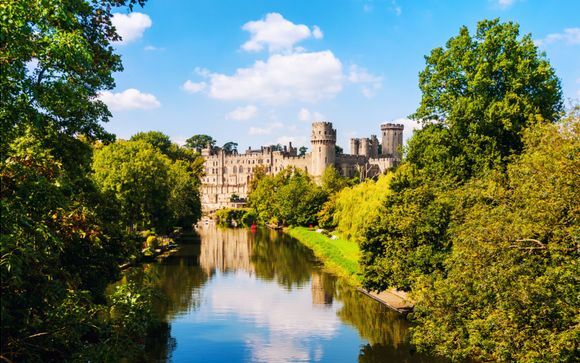 Located in the county of Warwickshire, full of stately homes and gardens, castles and grand Shakespearean theatres. Stay in a hotel that has been carefully renovated to make the most of original characteristics, especially its large stain glass windows! 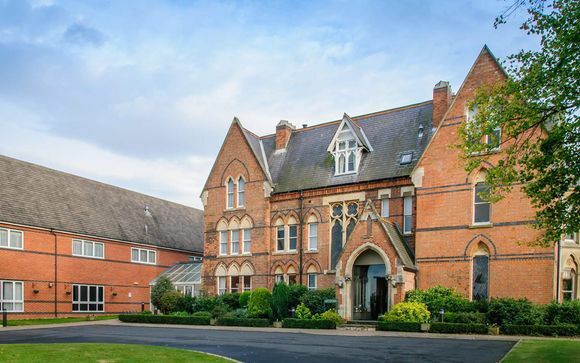 Your hotel is in the heart of Warwickshire's gentle beauty which in turn is dotted with landmarks of British history. Within easy reach is Shakespeare's Stratford-upon-Avon, where there are connections to the Bard at every turn - Shakespeare's birthplace, Anne Hathaway's Cottage and of course the famous theatre. Close by there is Warwick, with its beautifully preserved castle and the fine Regency buildings of Leamington Spa and its Pump Rooms. Other convenient places to visit are Althorp House, the home of the Spencer family, the National Space Science Centre, the Ryton Organic Gardens, and Coventry Cathedral. This former Victorian manor house in nestled within 11 acres of landscaped gardens, making it a peaceful destination where you can simply unwind. The building itself has been thoughtfully renovated to make the move of its original characteristics: regal wooden staircases, 2-storey stain-glass windows & vaulted ceilings endow the hotel with character while modern facilities make this stay a comfortable one. For a more relaxing break, rejuvenate in the hotel's wellness area for a dip in the indoor pool or work up a sweat in the gym. Each room is modern, stylish and sophisticated with beautifully designed bathrooms. - Double / Twin Guest Room (34m² / max. 2 persons): These rooms are the perfect spot to relax amidst a modern decor. - Superior Room (34m² / max. 2 persons): These rooms are decorated in a comfortable yet chic style with beautiful design touches. 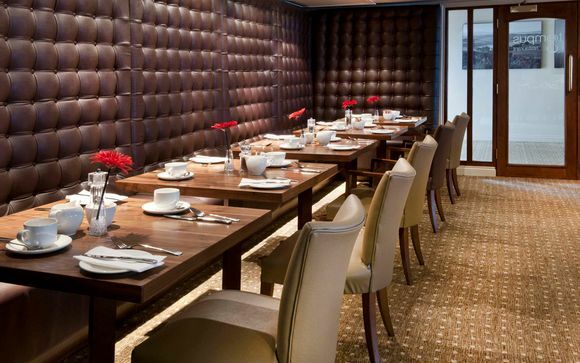 This hotel serves up typically British fare with a modern twist in a contemporary dining room where modern and eye-catching art adorns the walls. Dinner consists of light deli sandwiches, gourmet burgers or a whole host of seasonal treats from the hotel's ever changing menu. From an intimate dinner or al fresco dining in the hotel's peaceful grounds, to an in-room snack or a quick bite at the bar, this restaurant has you covered. Your hotel is approximately 20min / 15km from Stratford-Upon-Avon train station.